Free Training from The Kickstarter Guy! Before you launch your fundraising campaign, listen to this because Justin Giddings is not only an award-winning actor, writer and filmmaker, but he's also known as "The Kickstarter Guy" for his work in helping independent filmmakers fund their dreams through crowdfunding. In the last 24 months, Justin has help over 75 campaigns raise $3 million dollars and currently boasts an unequaled 97% success rate. Focusing on an approach that relies on attractive outreach that doesn't alienate friends and family, Justin travels the world to teach and coach on crowdfunding. 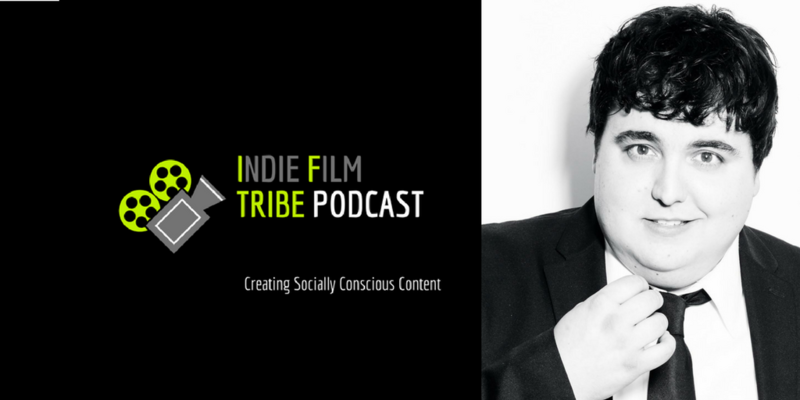 He teaches at Film Independent and Seed&Spark and is listed as one of Kickstarter's Experts, an elite group of coaches and agencies that have been personally vetted by the Kickstarter Staff. Keena Ferguson a Multi-artist whose love for all things creative (dancer/choreographer, actress, VO artist, writer, producer, director) has led her to fully accept all of her many talents and Keena now calls herself a multi artist. Keena’s latest projects are; starring as Crystal on the hot Golden Globe winning show Atlanta, S.W.A.T on CBS opposite Shemar Moore, and recurring on Amazon’s Gortimer Gibbons Life of on Normal Street. She also is the voice of many popular video games and can be heard at Disneyworld for the brand new Pandora World of Avatar and in the video game Star Wars playing the new character Jedi Master Ranos. She has danced for many notable artists such as Kelly Rowland, Gloria Estefan, Marc Anthony and so many more, she has been seen in commercials for Coca-Cola, Direct TV and Bud light to name a few. Keena is also the writer, producer and star of the short film Kai that went on to screen in more than 35 film festivals internationally and was picked up for television distribution. She expanded her talents again and directed the HBO nominated short Lindon Passing that was also written and stars Keena. All of the multifaceted roles she’s played has prepared Keena for her most challenging, but most accomplished feeling as an actress; when she performed her NAACP Award winning one-woman show Keena UnBranded. Playing over 10 different characters intertwining dance and live music, Keena UnBranded confirmed to Keena (and her audiences) that the power of honest artistry was a way to not only entertain, but also inspire. From October of 1992 through August of 2002, I was incarcerated inside the Federal Bureau of Prisons for the crime of armed robbery. For a decade of my life, I was lost to my friends, my family and even myself because of a horrible and irresponsible decision I had made. My inmate number was 22855-086 and I was only one of many 100’s of angry, disconsolate and wholly uncertain souls I would encounter in the tombs of federal prison system. I share this not to elicit sympathy or comfort from any quarter. I did the crime and it was justly and fairly my lot to serve the time handed to me under the federal laws and by the federal courts of these United States. I share this solely for one reason: So others who have made horrible, seemingly insurmountable and unbearable mistakes will know that there is a path forward, that if we are willing to do the work and commit to inside out and top to bottom transformation, there isn’t a single thing circumstance that the truly determined individual can’t come back from. Period. As of this writing, it’s been 15 years since I walked out of the maximum security federal facility in Florence, Colorado and since that time, I’ve started my own business, published to literary works of fiction, and have been an employee in good and respected standing at some of the biggest corporations in the world. I learned the lessons of hard time and while it hasn’t been easy for me, I want others to know they can come out and still make something of themselves, that they can have a life and that it is possible to walk in the light of substantitive change rather than in the shadow of a horrible mistake. Lastly, while I will be speaking to inmates in adult detention facilities about turning their lives around, to society at large for the purpose of educating them on the American Penal system and the effects, for better or worse, it has on its inmates, my main focus will be on at-risk youth and the young men and women incarcerated in Juvenile Detention Facilities all across this country. The reasoning for this focus is straightforward: The young mind is still fertile to the seeds of positive change and the young heart is more receptive to the possibility of a bright and productive future. Again, not that we won’t speak to adult offenders but we believe strongly that our resources, at least at least in this stage of the execution of our mission, are best deployed by reaching our youth.Thank you for taking the time to read this. Producer Alexandra Boylan has taken three independent films from conception to completion and has gone on to sell all of them to major distribution companies, including Universal Home Entertainment and Image Entertainment. All three films have been on the shelves of Walmart, released world wide, and continue to sell in Red Box, Amazon, iTunes and pretty much everywhere else DVD's and Vod is sold.